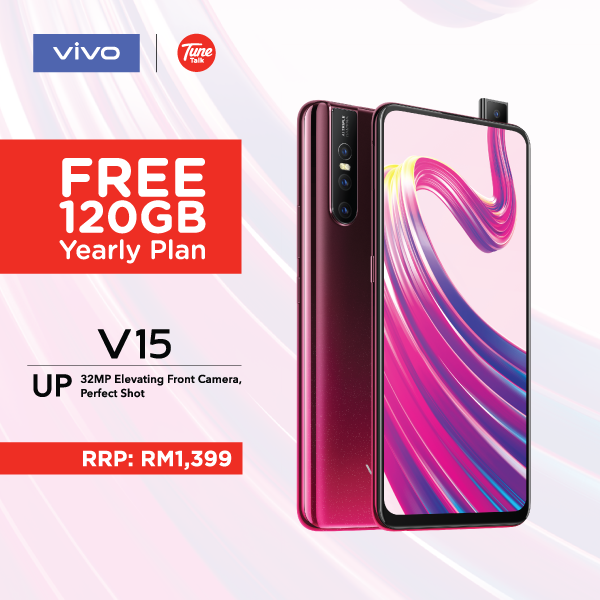 From today onwards, you may pre-order a vivo V15 and you can get FREE 120GB Yearly Plan exclusively from TuneTalk. You will enjoy a 10GB Online Package per month for the next 12 months. Free vivo gift box is also available on a first-come, first served basis.